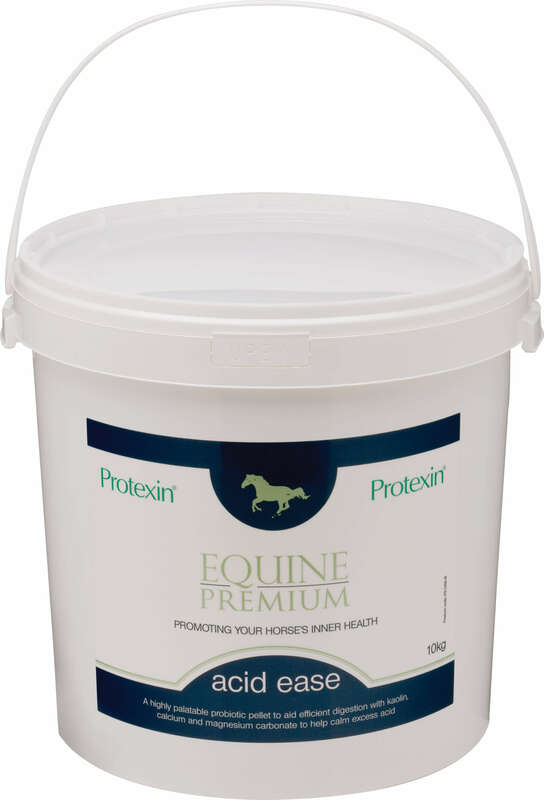 Protexin Acid Ease calms excess acid in the stomach of horses & weaned foals. Horses suffering from stomach (gastric) ulcers can have more acidic stomach contents. Acid ease also helps to protect & soothe the gut lining. Acid Ease is suitable to use on horses who are prone to stomach (gastric) ulcers & as a follow-up to conventional therapies. Scientific studies have shown that when Acid Ease is added to an acid solution, it decreases the acidity more than when just food is added. Acid Ease is a palatable, concentrated powder that contains a blend of Protexin probiotics & prebiotics; antacids (calcium & magnesium carbonates); kaolin; fibre (pectin & psyllium) & amino acids. Feeding Instructions- Feed 50g twice daily for the first month, then feed 25g twice daily after that, as maintenance. 1.5kg will last for 30 days (based on maintenance rate). 3kg will last for 60 days (based on maintenance rate). Protexin are part of the BETA NOPS scheme. Ekygard is a nutritional supplement from Audevard, designed to support your horse's gastric (stomach) & digestion needs. Succeed Digestive Conditioning Program is recommended by vets, to improve the functioning of your horse's digestive system. It can lead to improvement in overall health & performance and reduces the risk of developing digestive conditions such as ulcers & colic. support the balance of normal intestinal flora. Helps maintain a healthy intestinal tract, supports normal digestion. Provides bioactive beta glucans and antioxidants to support the immune system.